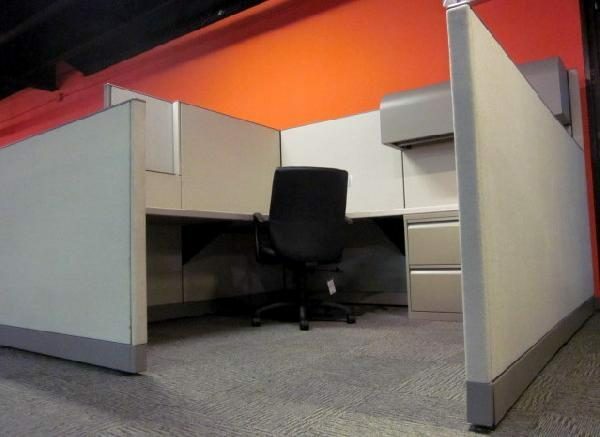 Knoll Morrison 8 x 8 cubicles with 64″ high powered panels down the main spine and 42″ high panels off the spine. Each station has a Reuter 48″ overhead bin with task light. BBF pedestal and 2-drawer lateral file. 48 corner with 48″ returns. Good clean as-is.